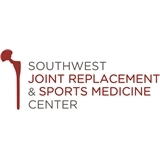 Southwest Joint Replacement & Sports Medicine Ctr (Dallas) - Book Appointment Online! Dr. Anup Pradhan specializes in the treatment of knee and shoulder injuries, fractures, tendon disorders, arthritis, cartilage restoration, and shoulder replacement surgery. I really liked him! He took time to explain what was wrong, draw pictures,and discuss my options. I never felt rushed. He was very thorough.